No more messy clean up since there's two heads on either end of these magical Unicorns! They measure around 8" tall and are made of soft, suede-like fabric. 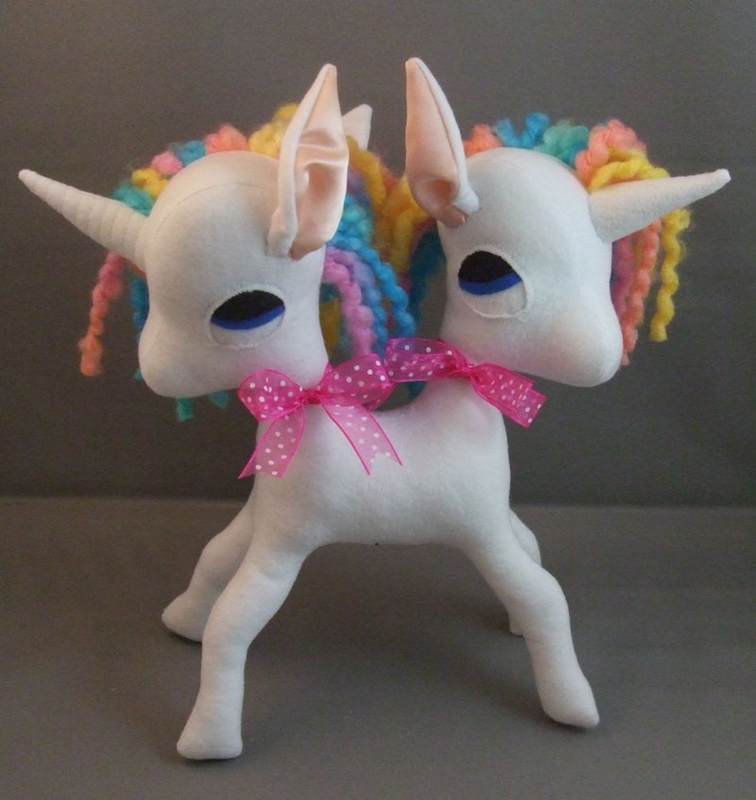 Each head has unicorn horn and is adorned with a sweet ribbon bow tied around it's neck.